An acquaintance of mine teaches at New York University's School of Social Work. Not long ago, while I was visiting her in the department's Greek Revival mansion at 1 Washington Square North, she led me upstairs to the fourth floor with the promise of showing me something that would interest any trafficker in the visual arts. Because we were deep in Henry James country, a 19th-century neighborhood loaded with crown moldings and carved mantels, I expected, maybe, a Tiffany chandelier. Instead, my friend opened the door to a minimally furnished skylit room. It had a pot-bellied stove, a painter's easel, and photos framed on the wall of a grim man with long legs. The man was Edward Hopper, and he had lived and worked in this place for half a century. A time capsule embedded in its institutional setting, the Edward Hopper Studio has been visited on rare occasions, and only recently, by Greenwich Village Historical Society tour groups and BBC camera crews; but mostly it serves as a seminar room for NYU students and faculty, or it just sits there, steeping in its historical juices. Hopper moved to the building in 1913, when he was a 31-year-old bachelor and late-blooming artist earning his living as a commercial illustrator. (His art-school friend Rockwell Kent was a neighbor.) Eventually, he acquired a wife, Josephine Nivison, and celebrity, and leased rooms down the hall. But success didn't drive out the Spartan in him. One biographer notes that he insisted on hauling coal up to the apartment, even when he could afford a less burdensome heating source. Jo, a painter of inferior talent yet unquenchable ambition, took the inner studio, which still has the rack the couple used for drying canvases; Edward worked in the space with a model's stand, etching press, and view of Washington Square Park. During the climate-uncontrolled New York summers, the couple escaped to Maine or Cape Cod; at other times they went on odysseys through America or Mexico. This was more or less the drill until the day Hopper died in these rooms in May of 1967. Jo, who had given her spouse both emotional support and a heap of trouble over the course of their difficult marriage, passed away 10 months later. Looking out from his windows to the landmarks on the square's south side — the Renaissance tower of Stanford White's Judson Memorial Church, the beefy red stone of Philip Johnson's Bobst Library — I was moved by the incongruity of Hopper here, then, now. He painted doggedly in the Greenwich Village of Emma Goldman and Edna St. Vincent Millay and was still painting when the neighborhood's heroes were Bob Dylan and Jane Jacobs. In 1946, NYU took over the building and began the long, futile process of pressuring him to leave. Mark Callahan, associate dean of finance and administration at NYU's Ehrenkranz School of Social Work, knew people who remember bumping into Hopper on the stairs. And yet, try looking for this milieu in his paintings: you'll have trouble finding it. The Manhattan that Hopper pinned down like a narcotized specimen is not a village with friendly dogs and children, and certainly not the Village. It's a city that is paved over, glassed in, and swimming in heat—the lonely dive in "Nighthawks," the erotically charged workplace in "Office at Night," and even the generic brickscape of chimney rows and skylights painted from the top of his building in "Roofs of Washington Square." Hopper admitted the northern light from his studio windows but ignored the pleasant scene, instead consulting the anomie behind his eyelids. He paid as much attention to inert design details, such as the Ionic columns carved into the wood of the reception desk in "Hotel Lobby," as he did to representing the quivering detachment of actors in his dramas of solitary lives. In that same lobby, an elderly couple converse while a young woman quietly reads on the opposite side of a border marked by the carpet's pattern. Both matron and ingenue are seated next to vacant chairs, a correspondence that signals that they are not just disconnected strangers but also occupants of parallel universes defined by waiting. One of the women is distinguished by effortless radiance; the other by mature composure; and tension comes from the hint that at any moment the man, who is positioned between them and looking distracted, may shift his attention to the blonde, thus violating boundaries of space and vows. Or maybe he won't. Hopper typically painted from the vantage points of thresholds and exteriors, pausing at the scene of narrative only long enough to present it, so that his lonely figures float in obscurity. It's as if the artist cracked open a door and witnessed private moments so intense that they got mixed up with his own sense of furtiveness. What came before or after these scenes we can only imagine. And imagine we do: Despite the quiet attitudes of self-absorption common to his people, whole Hollywood screenplays could be based on Hoppers. The critic Robert Hughes credits him with establishing not just the shadowy visual style but also the private investigator trope of film noir. "It was Hopper," Hughes writes, "a man of extreme inhibitions who had no interest in communicating with the world at large except through his art, and then only obliquely, who saw that the old frontier had moved inward and now lay within the self, so that the man of action, extroverted and self-naming, was replaced by the solitary watcher." I imagine that Hopper would have hated my intrusion into his quarters, though he might have been bemused that NYU deigned to preserve them. (Callahan confides that the space narrowly missed being converted into a faculty meeting room.) Yet, though the University has dutifully put a plaque on the door and hung reproductions of the Hoppers' artworks, it appears no more inclined to turn over the rooms to the couple after death than it was to guarantee them comfortable occupancy in their lifetimes. As preservation efforts go, this one is ghastly; an old York cooking stove sits in pieces between the two studios, water damage creeps along the remodeled ceiling, a cheap laminate desk—collegiate issue—has been shoved into a corner as somebody's workspace, a room the couple used for their residence is now a faculty office, and a quick scan of the artist portraits by Arnold Newman and Berenice Abbott, which dot the walls, reveal that Hopper's beloved coal stove has lost its chimney. "People didn't know it was here," Callahan says of the space, adding that, now that it has finally attracted historians' interest, it will soon be put off limits to students and administrators. And yet, despite the adulterations, the studio remains locked out of time, a window onto a man who was indifferent to the changing world around him. Hopper was a poet of the abyss, a chronicler of discontinuity and disruption, who seemed to need a static environment from which he could take inventory of what was emotionally solid and measure the distance to the nearest patch of null. Whether he represented the void with naked space, naked light, or naked flesh, it never lay far away. It fact, it was right in the neighborhood. 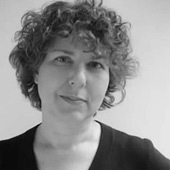 Julie Lasky is the editor-in-chief of I.D., the international design magazine. A former editor of Interiors magazine and managing editor of Print, she is the author of the book Some People Can't Surf: The Graphic Design of Art Chantry. Duane Michals is a self-taught photographer noted for his artistry. Michals' photography uses photo-sequences and the incorporation of text to examine emotion and philosophy, building a unique body of work over his career. He is represented by Pace/MacGill in New York City. Two of his recent books include Questions Without Answers (2001) and The House I Once Called Home (2003). It's funny how familiar you can be with a painting -- I remember "Nighthawks" most because it hung in one of my favorite shopping-mall restaurants in Ohio, I used to stare at it as I wolfed down club sandwiches with a side of fries -- and never think about it from the perspective in which it was created. Thanks for the deep dive. I will say that as someone who lives in the Village, I know that the solitary life I lead inside my apartment only grows more solitary, more dramatic and movie-like, in my head every time I look out the window, babies and dogs be damned. this building on washington square used to be taller by at least one story. that extension rose up in the back of the building on the mews. the upper floors were destroyed in a fire in the late sixties that also destroyed much of the lifes work of a painter who occupied the top most studio. This is a wonderfully-written piece and a total surprise hidden on Washington Square. I spend a lot of time at NYU and I've never heard of this Hopper oasis. That he was here until 1967 is a shocker. But I'm interested in this intersection of art history with architectural history. Should this space to preserved as the studio of Edward Hopper? Bill, I too am fascinated (if not slightly obsessed) with the secret birthing rooms of culture. DeKooning's studio on the second floor at the southwest corner of Spring and Hudson (with the large windows); Ad Reinhardt's tiny apartment studio at the corner of Gansevoort and Hudson; the obscure building on 56 St. where Ray Charles and Coltrane recorded for Atlantic; and the other obscure building a few blocks away where the KGB kidnapped Leo Theremin are all personal highlights with greater obscurity (something I aspire to) than obvious locations like the Chelsea Hotel or Edna St. Vincent Millay's narrow home on Bedford St. But New York is full of these locations almost to a fault. Where can't you walk down a street without feelings of reverie or nostalgia? Yes, legends walked here. But since New York is the center of literate culture, it would be more of a surprise if one could find a neighborhood where no notable poet, painter, writer, photographer, designer, architect or musician ever set foot. One wonders: what is the limit to this kind of relic worshipping? ...after a while, it all starts to sound like Page Six. But I will admit that there are some studios well worth the visit; notably the Jackson Pollock home in Springs, Long Island. Since he painted on the floor, and the splatters went past the canvas, visitors can slip on booties and actually stand on one of his paintings. Inside, you can flip through his record collection and, if you need to, use the bathroom. So there I was... calculating how many times he climbed those stairs to puke in the very same toilet. Like I said: Page Six. Julie, I have one minor nit to pick. If his window faced across Washington Square Park towards Bobst Library, then wouldn't it be South/Southwest light? Great piece on Edward Hopper's studio. But the photographs in the slide show are severly cut off at the bottom. Can and will this be corrected? Bill, I think the surprise of finding Hopper's studio with its few, battered, well-documented relics is what makes the space so poignant. It hasn't been turned into a tourist sideshow, or granted the kind of commemorative hype that paradoxically strips away the aura of creative vitality from a historic place (yes, I'm thinking of Colonial Williamsburg). I would imagine NYU is treading delicately because the school has long been at war with the neighborhood about destroying bits of its history; a few years ago, it raised an outcry when it tore down a house that Poe had lived in. But to properly enshrine the Hopper space in a busy social work department would be expensive and impractical. The school should be applauded for any gesture to preserve it. If such a thing were possible, I would like see the whole house turned into an NYU research center about the cultural life of Washington Square. Not just Hopper and Kent but also Thomas Eakins painted there, John Dos Passos wrote there, the art magazine THE DIAL was founded there, and Henry James was born next door. And note to M. Kingsley, you are absolutely right about the light. Southern, not northern. My apologies. an interesting paradox about this piece is that it focuses on the permanent address the piece's subject kept throughout his life, whereas the themes of the painter's work were impermance and emptiness. in many of hopper's paintings, the moment depicted already seems long past, the painting the proof of the impermance of time. where was Sun In an Empty Room painted? that room might still be there, it may be for rent, or it may have been converted into a co-op, but for sure that day and that sunlight are both long gone. "Why does the writing make us chase the writer? Why can't we leave well enough alone? Why aren't the books enough?" "What makes us randy for relics? Don't we believe the words enough? Do we think the leavings of a life leave some ancillary truth?" I believe these statements give this essay a counterpoint, which mark kingsley was beginning to hint at in his post. what is it we seek in the relics of legends? a brief interface with immortality or myth? look forward to keeping up with your posts! There is actually a north-facing window built into the roof, made of opaque glass that Hopper used to light his studio. This is the main reason he and his wife fought to stay put. The outside of this window can be seen in his painting, "City Roof". Hopper created a similar atmosphere of northern exposure in his summer home in Truro, on Cape Cod by building a huge north facing window into his modest home (which can be seen in Arnold Newman's famous 1960 photo of Hopper titled, "Portrait of Edward Hopper". I invite you to see my some of my photo comparisons of places which inspired Edward Hopper throughout New England and NY at my website.